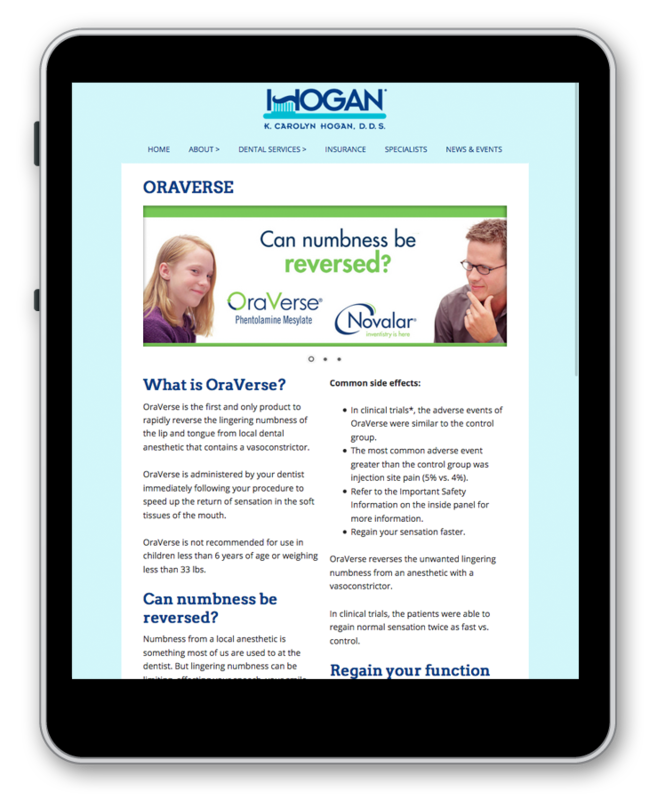 Mobile-responsive website for K. Carolyn Hogan, D.D.S. — an established Phoenix dentist in private practice since 1981. 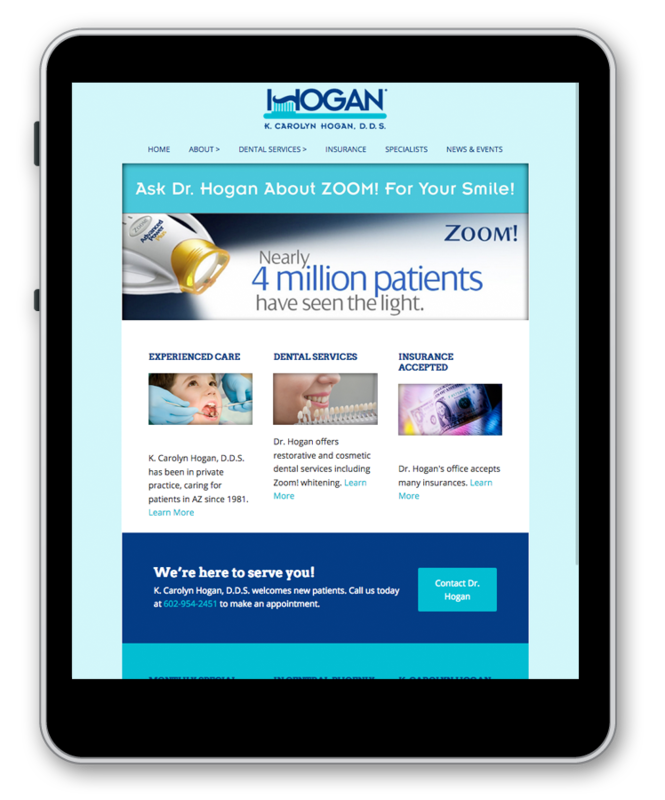 Dr. Hogan is an Arizona native, a graduate of Arcadia High School, as well as Arizona State University. 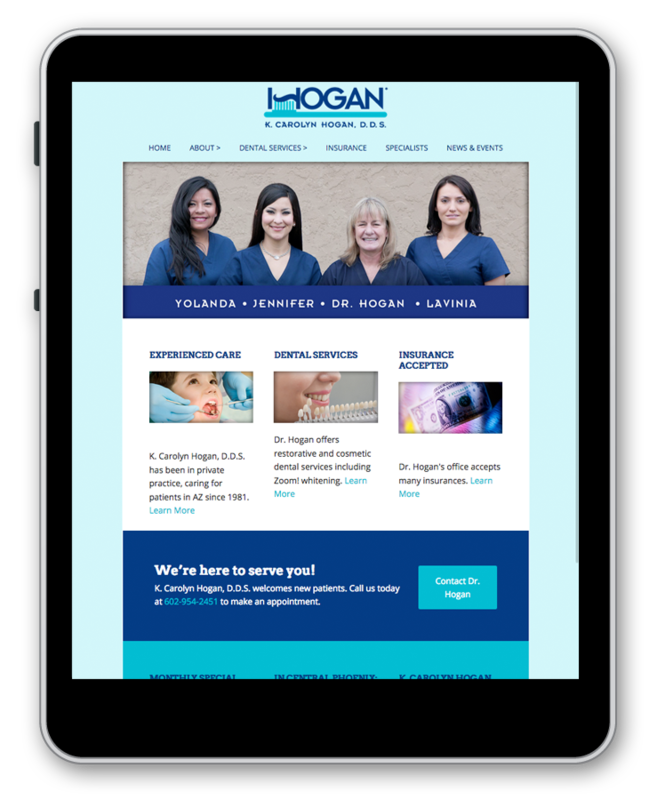 Dr. Hogan’s office is located at: 4235 N. 32nd Street, Suite B, Phoenix AZ 85018 • 602-954-2451. She welcomes new patients.